I have been making this Bacon & Brussel salad for years now. It is an absolute favorite and must have for every holiday spread and any day in between! 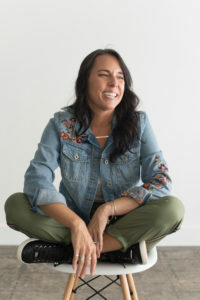 My family adores it and I just know you will too. Totally paleo and keto friendly. And helloooooo, it has BACON!!! 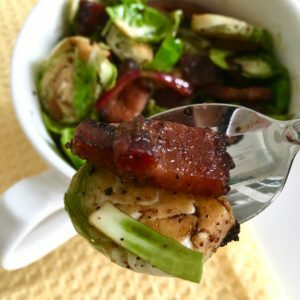 I like making this salad with thick cut bacon for sure. I mean who wants a little crumble of bacon when you can have a big hearty piece?! Ok let’s get to this easy dish. Start cooking your bacon over med heat in a cast iron skillet. Sprinkle liberally with fresh pepper. While that cooks, cut the ends off your brussels and then cut into thirds lengthwise. (some stores sell these already sliced). Next slice your red onion and set aside. Once your bacon is done, remove from skillet. Chop into good sized pieces and set aside. 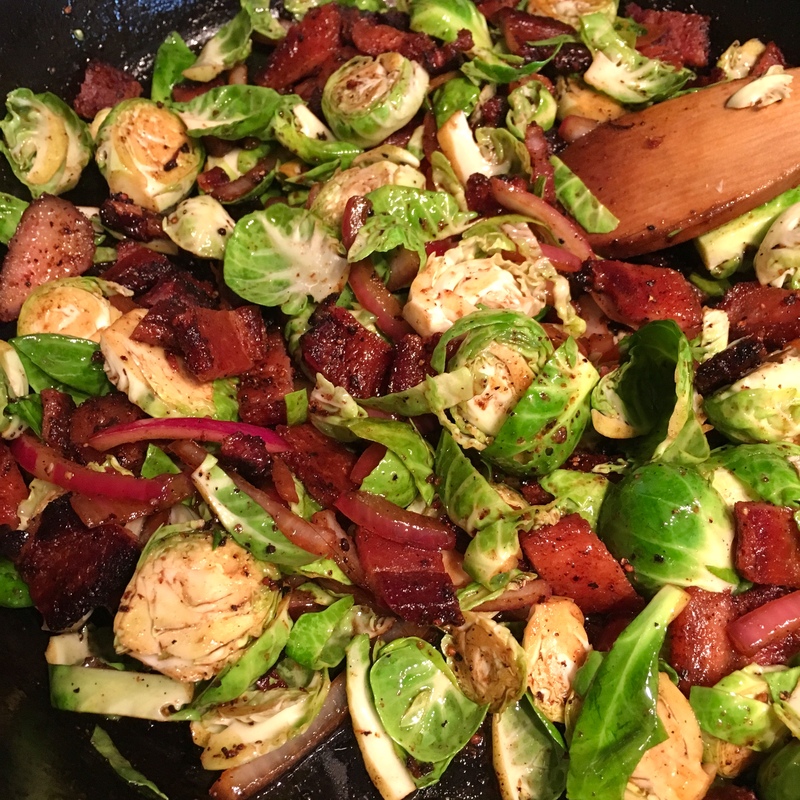 Reserve at least 1 tbls bacon grease in the skillet, add your onion and saute a minute, then add the acv and brussels. Turn heat off. Season with S&P, garlic and onion granules, give a good toss around the skillet to coat. I like the brussels almost raw, you can cook as much as you want but I would recommend keeping them as close to bright green as you can for the nutritional value. Last toss in your chopped bacon.